School Library Journal loves THE GREAT HIBERNATION! 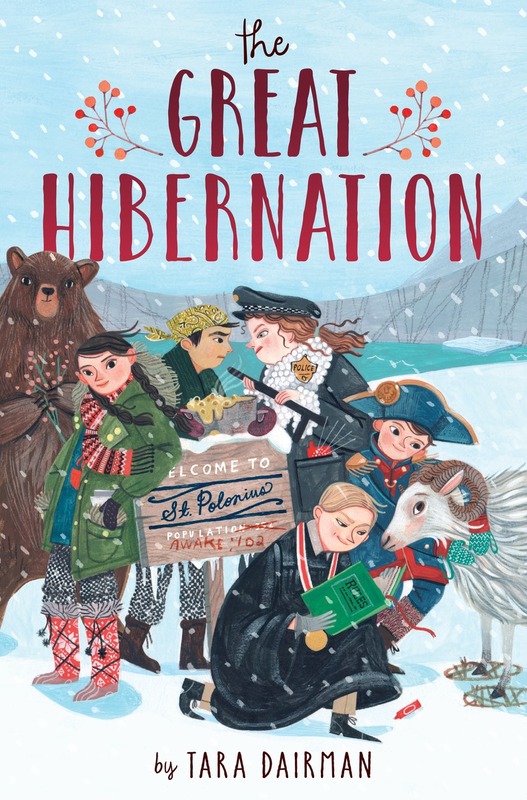 I’m thrilled to share this fantastic review from School Library Journal for The Great Hibernation (coming your way September 12 – click title or cover image for preorder info). This is a book full of big ideas, and I’m so glad to see that the combination of humor, adventure, and politics is appealing to early readers. DAIRMAN, Tara.. illus. by Rebecca Green. 272p. Random. Sept. 2017. Tr $16.99. ISBN 9781524717858. Gr 4-8 – In a small, insular Nordic town with seemingly harmless, quaint traditions, the children find themselves in a police state under a devious and manipulative kid mayor when all the adults suddenly and inexplicably fall into comas. Self-doubting and awkward Jean, 12, knows she must look for allies and uncover the truth. She and her small band of heroes are thwarted right and left, and readers will empathize with the characters as they encounter injustice. Dairman creates a sense of urgency and brings the work to a satisfying conclusion. The scenes are concise and well formed, grouped into chapters ending with a new question or realization that adds to the suspense. The trope of children without adult supervision or guidance leads to memorably humorous situations when the kids take on their parents’ jobs (e.g., the plow driver’s son who can’t see over the steering wheel), as do the antics of a pet sheep. A friendship between Jean and Isara, who is from Thailand and the only immigrant in this mostly white community, emphasizes the theme of friendship in spite of differences. VERDICT Lighthearted enough to entice readers with the silly premise and whimsical illustrations sprinkled throughout, this middle grade book nonetheless explores some rather important political ideas about individuality and the need for a balance of powers in governance. A strong selection for most middle grade shelves. 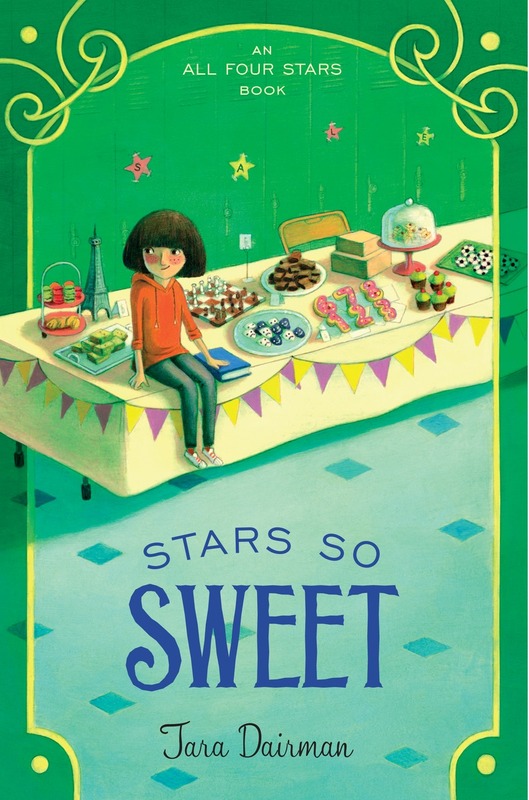 Blog tour stop #3: The wonderful Michael Gettel-Gilmartin has reviewed Stars So Sweet for Marvelous Middle Grade Monday over at his blog, Middle Grade Mafioso. 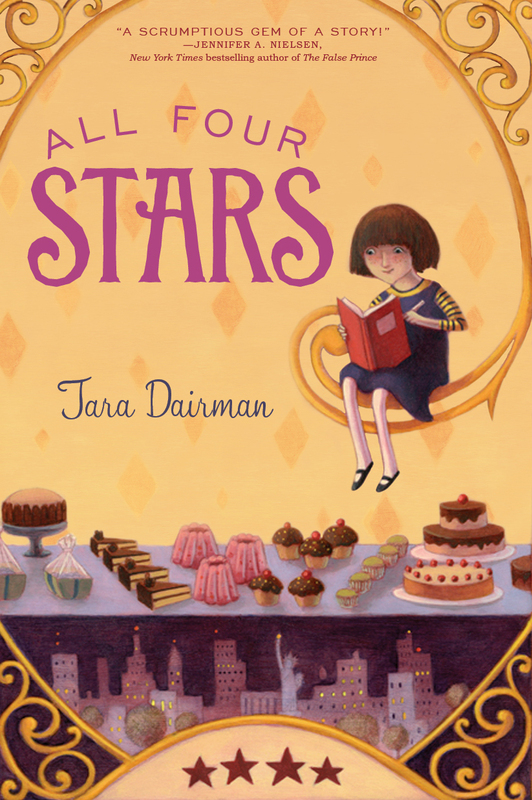 He calls someone named Tara Dairman “one of the funniest middle grade writers around.” Well, I’ll take it! 🙂 Thank you for reading and reviewing, my friend. Friends, if you’d like to start your Monday off with a good deed (and quite possibly a misty eye), please check out my brother- and sister-in-law’s beautiful video and inspiring story. They *both* survived cancer before the age of 32 and are now seeking to adopt. They are honestly two of the very best people I know, and are going to make incredible parents. If you have the time to help share their story on social media and/or can find a few dollars to support them, I know that everyone who loves Matt and Heidi would be so grateful. Thank you! Greetings, friends! The Stars of Summer‘s blog tour continues! Today, Sylvia at A Baked Creation has cooked up a true treat of a post. It’s a little bit book review, a little bit funky Toronto hot dog joint crawl (I want that po’boy hot dog! ), and a little bit of childhood memories of favorite hot dogs eaten with family. I just love it. Thank you, Sylvia!